Following reports that Google was set to launch its new Nexus 5X and Nexus 6P smartphones in India as early as Tuesday, the search giant has sent invites for an event on the same day in New Delhi at 11am IST. Featuring an Android symbol, the Google invite leaves little doubt the company will be launching the new Android 6.0 Marshmallow platform lead devices in India. The event will be attended by Rajan Anandan, Vice President & Managing Director, Google, South Asia & India. The Nexus 5X and Nexus 6P smartphones, made by LG and Huawei respectively, already had their India prices revealed on the Google Store. 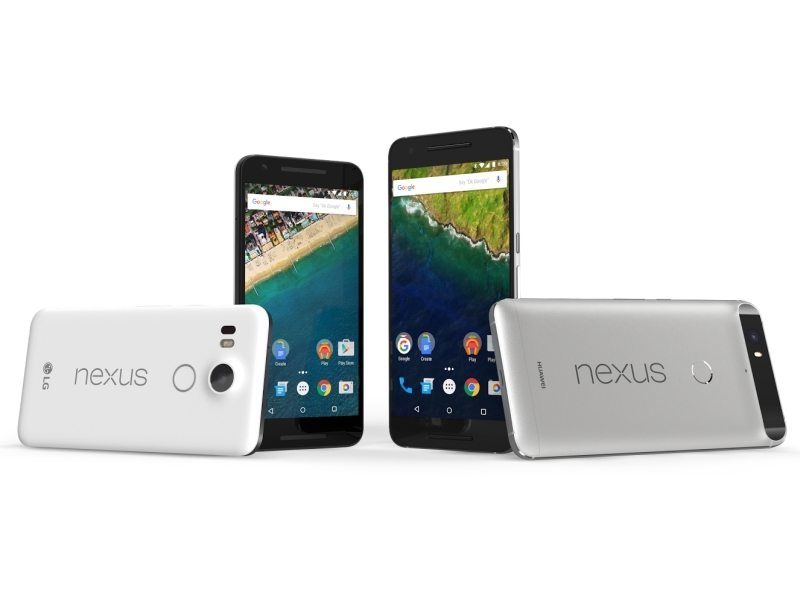 The Nexus 5X is priced at Rs. 31,900 for the 16GB internal storage variant, while the 32GB variant will be priced at Rs. 35,900. The Nexus 6P is priced at Rs. 39,999 for the 32GB internal storage variant, and Rs. 42,999 for the 64GB variant. Google, which launched the phones on September 29 in San Francisco, said that the new devices would come with Type-C USB, Nexus Imprint fingerprint sensor, and run the latest Android 6.0 Marshmallow OS. The Nexus 6P is the first full-metal Nexus smartphone, built out of aluminium, and features a 5.7-inch QHD (1440×2560 pixel) display with Corning Gorilla Glass 4; a 12.3-megapixel rear camera with 4K and slow-motion (240fps) video recording, apart from an f/2.0 aperture; 8-megapixel front-facing camera with HDR+ and a f/2.4 aperture; a 2GHz octa-core Qualcomm Snapdragon 810 v2.1 SoC; 3GB of LPDD4 RAM, a 3450mAh battery with Quick Charge support providing up to 7 hours of charge in 10 minutes, and dual front-ported speakers. It will be available in Frost White, Aluminium, and Graphite colour variants. The Nexus 5X on the other hand features a 5.2-inch full-HD (1080×1920 pixel) display with Corning Gorilla Glass 3; a 1.8GHz hexa-core Qualcomm Snapdragon 808 SoC; 2GB of LPDDR3 RAM; a 12.3-megapixel rear camera with 4K and slow-motion (120fps) video recording, apart from an f/2.0 aperture, and a 5-megapixel front-facing camera with HDR+ and a f/2.0 aperture. It features a 2700mAh battery, with Quick Charge support providing up to 3.8 hours of charge in 10 minutes. It will be available in Carbon Black, Quartz White, and Ice Blue.